.NET, Delphi, Java 또는 COM 컴포넌트를 지원하는 모든 개발 도구와 쉽게 사용할 수 있습니다. FlexiCapture Engine은 VBS, JS, Perl 과 같은 스크립트 언어를 지원합니다. ABBYY FlexiCapture Engine 11은 라틴, 키릴, 그리스, 동아시아 언어를 포함한 197개의 OCR 언어를 지원합니다. Languages with Latin, Cyrillic, or Greek characters: Abkhaz, Adyghe, Afrikaans, Agul, Albanian, Altaic, Avar, Aymara, Azerbaijani (Cyrillic), , Basque, Belarusian, Bemba, Blackfoot, Breton, Bugotu, Buryat, Cebuano (Visayan), Chamorro, Chechen, Chukchee, Chuvash, Corsican, Crimean Tatar, Crow, Sioux (Dakota), Dargwa, Dungan, Dutch (Belgian), Eskimo (Cyrillic), Eskimo (Latin), Even, Evenki, Faeroese, Fijian, Frisian, Friulian, Gagauz, Galician, Ganda, German (Luxemburg), Guarani, Hani, Hausa, Hawaiian, Icelandic, Ingush, Irish, Jingpo (Tinpo), Kabardian, Kalmyk, Karachay-balkar, Karakalpak, Kasub, Kawa, Kazakh, Khakas, Khanty, Kikuyu, Kirghiz, Kongo, Koryak, Kpelle, Kumyk, Kurdish, Lak, Lezgin, Luba, Macedonian, Malagasy, Malay, Malinke, Maltese, Mansi, Maori, Mari, Maya, Miao, Minangkabau, Mohawk, , Mongol, Mordvin, Nahuatl, Nenets, Nivkh, Nogay, Nyanja, Ojibway, Ossetian, Papiamento, Provencal, Quechua, Rhaeto-Romanic, Romanian (Moldavia), Romany, Rundi, Rwanda, Sami (Lappish), Samoan, Scottish Gaelic, Selkup, Serbian (Cyrillic), Serbian (Latin), Shona, Somali, Sorbian, Sotho, Sunda, Swahili, Swazi, Tabasaran, Tagalog, Tahitian, Tajik, Tok Pisin (Pidgin English), Tongan, Tswana, Tun, Turkmen, Turkmen (Latin), Tuvan, Udmurt, Uigur (Cyrillic), Uigur (Latin), Uzbek (Cyrillic), Uzbek (Latin), Welsh, Wolof, Xhosa, Yakut, Zapotec, Zulu. 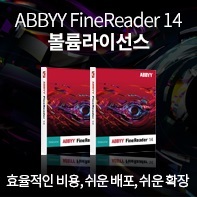 ABBYY FlexiCapture Engine 11은 121개의 ICR (필기체 문자 인식) 언어를 지원합니다. 33 languages with morphology/dictionary support (languages with Latin characters, 3 Cyrillic languages, and Greek). 다음과 같은 포맷의 이미지 파일을 열고, 저장할 수 있습니다. 1D: Codabar (with Check CodaBar), Code 128, Code 39 (with Check Code 39), Code 93, EAN 8 and 13, IATA 2 of 5, Industrial 2 of 5, Interleaved 2 of 5 (with Check Interleaved 2 of 5), Matrix 2 of 5, Patch, PostNet, GS1-128, UPC-A, UPC-E.
다음과 같은 클라우드 컴퓨팅 플랫폼에서 테스트되었습니다.